Pogba’s relationship with the volatile Mourinho had been pretty much toxic all season — having already degenerated in the previous campaign — and he found himself relegated to the substitutes bench. 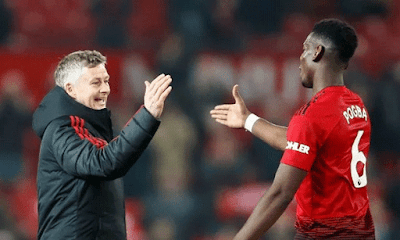 “Before the coach (Solskjaer) arrived I was in the shadows, on the bench, and I accepted that,” he said after the impressive 1-0 win over Tottenham Hotspur on Sunday. “It is a pleasure to play again. Now I am always smiling.” Solskjaer, who The Sun reported on Tuesday is in pole position to get the job permanently as he has impressed the board and has the unaninmous support of the players, has won six from six since his arrival.